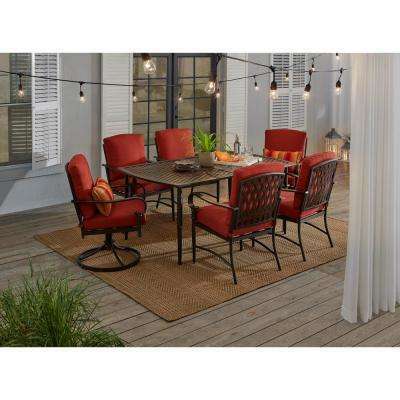 A patio dining set can add flair and comfort to backyard dining. 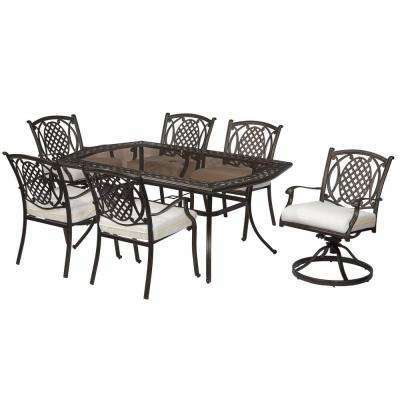 In fact, patio dining sets can range from a style as formal as your indoor dining room to a casual coastal look. 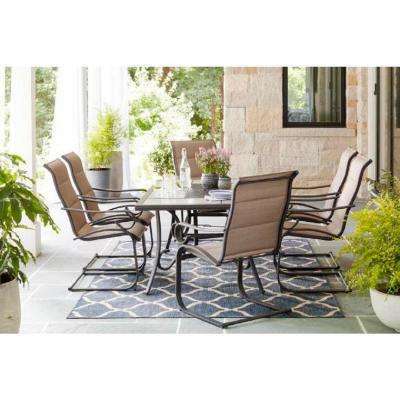 Choose one that’s an extension of your indoor décor or create a special outdoor oasis. 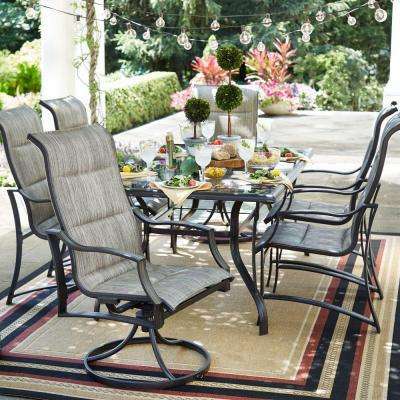 •	Sleek and Sophisticated. 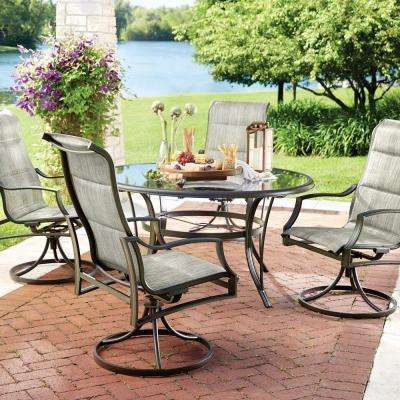 A metal-frame table with a glass top offers a refined look. 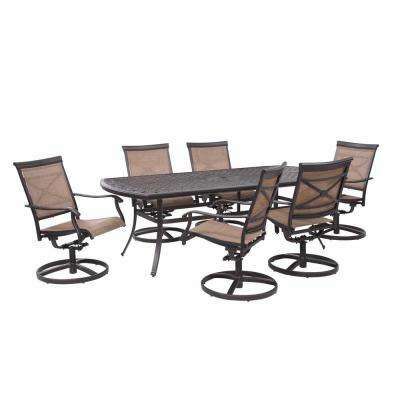 Some sets come with plush swivel chairs for the head and foot of the table. 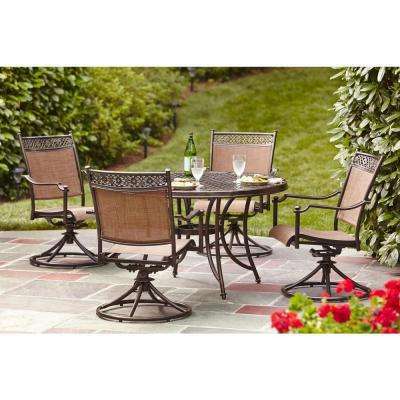 Go with one with ornate metalwork for a traditional vibe. 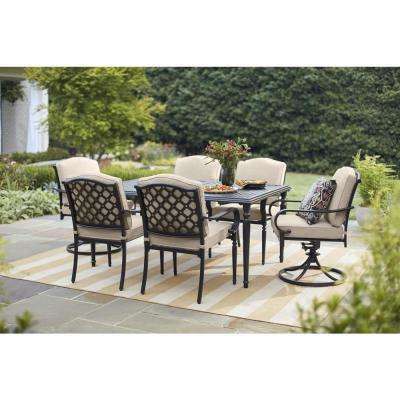 Or choose a modern dining set with clean lines. 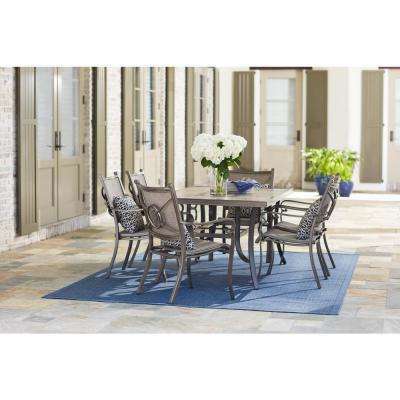 A round glass dining table set is an elegant option for an updated outdoor kitchen. •	Rustic. 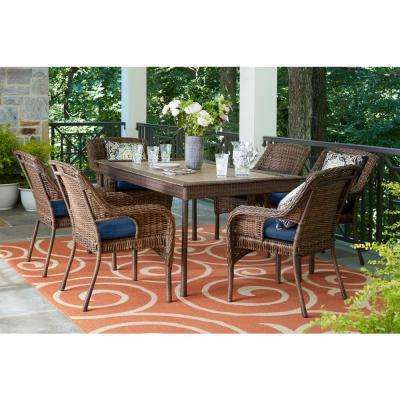 A slatted, wooden farm-style table and bench give a relaxed, country feel—a perfect choice for a space nestled in nature. 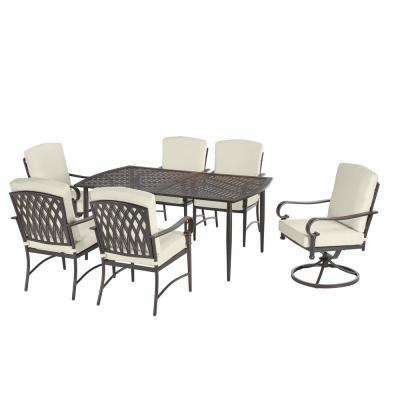 Select one in a natural color or go with painted white for a brighter look. 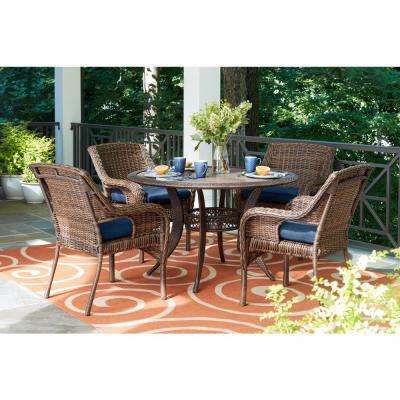 Wicker patio dining sets also lend themselves to a rustic style. •	Artsy. 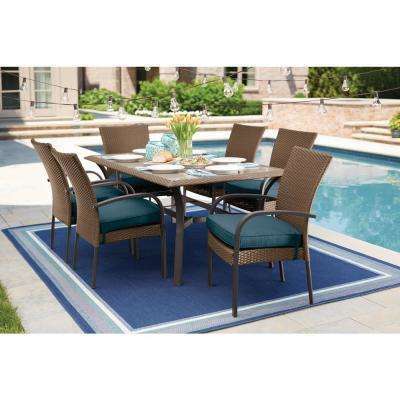 A mosaic or tiled outdoor dining table provides a creative flair. 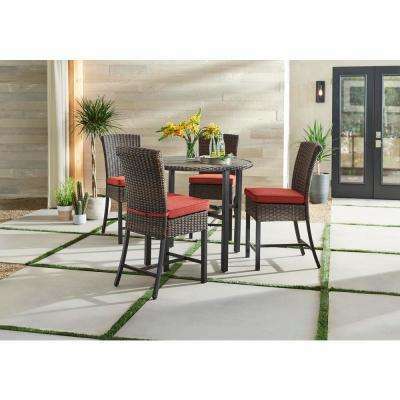 These choices work well on stone patios. •	Coastal. 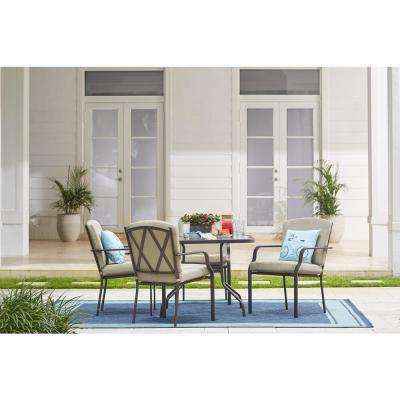 Light, airy colors or a pop of blue give a coastal feel to patio dining furniture. 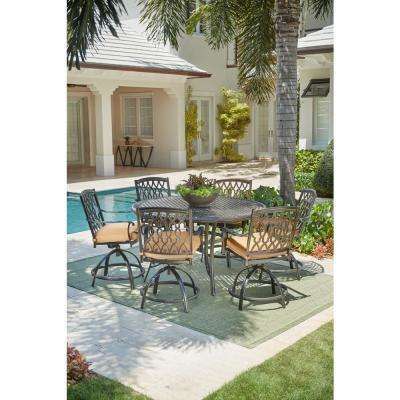 Choose sling chairs to give an island feel to your space, with the added benefit of comfort and durability. 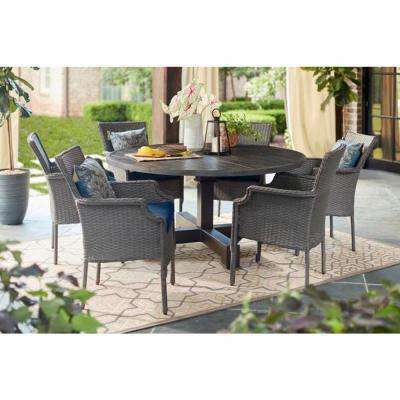 Choose an outdoor patio dining set that won’t overwhelm your space. 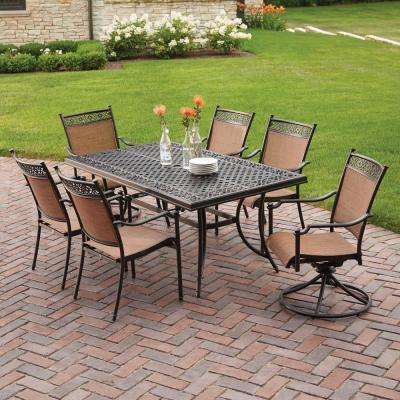 A large patio will have space for a 7-piece patio dining set, which seats up to six people. 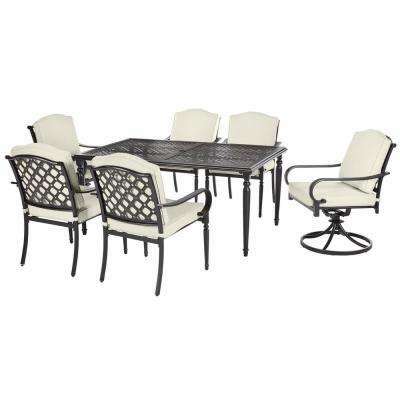 A small patio dining set or bistro set works better for a narrow balcony or courtyard. 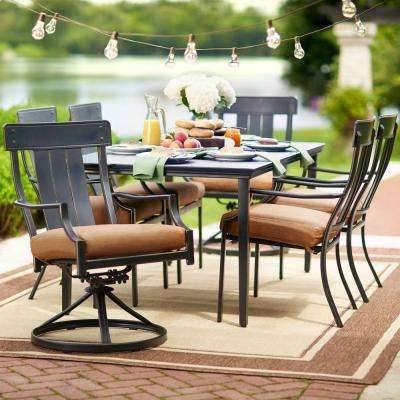 For a more flexible option, go for an extendable outdoor dining table, which can accommodate extra guests in a pinch. 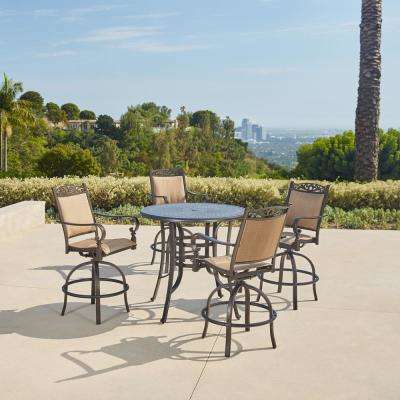 In warm climates where you can eat outdoors all year, choose sturdy metal or wood furniture that can stand up to the elements. 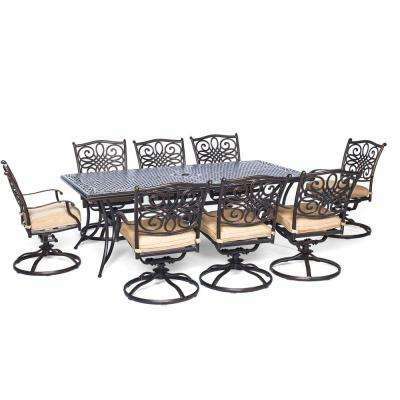 Teak dining sets develop a patina that makes them look better with age. 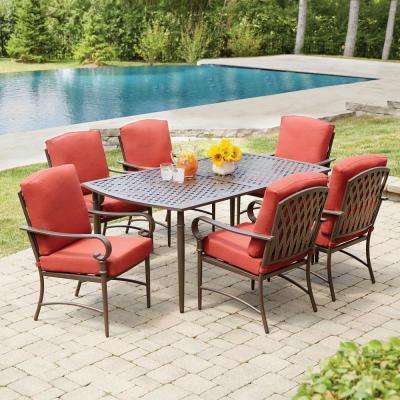 In cooler climates where you need to store outdoor furniture during the off-season, aluminum is a great choice. 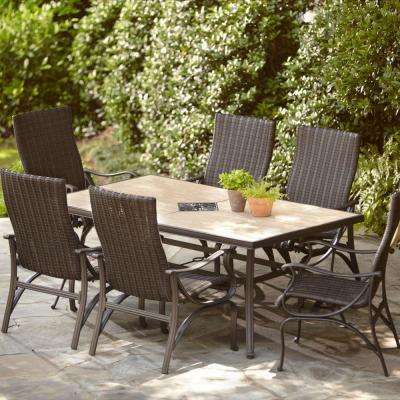 It’s more lightweight and easy to move. 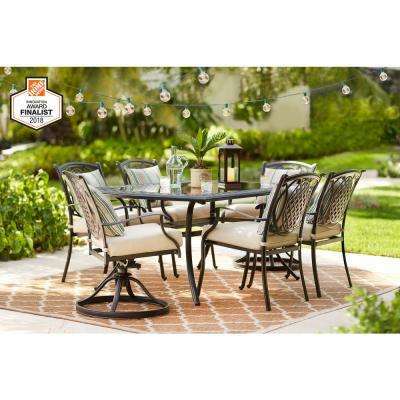 Select a patio set with an umbrella to keep your al fresco meals comfortable during the hottest days. 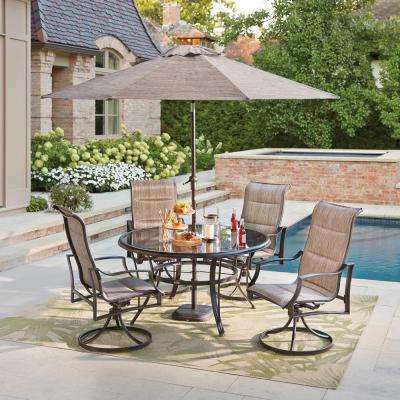 Or choose a separate market umbrella or cantilever patio umbrella to cover more of your outdoor seating.